Statistics vary as to the amount, and since every case is so unique, there is really no "average" cost for a divorce. However, the actual financial investment is almost always greater than what was originally anticipated. The emotional cost of a divorce is typically steep as well, and more and more people are thinking twice before paying for either of them. Court-supervised litigation, with its predictable rules and established procedures, is still the best solution in many cases. But a non-litigation model may be an effective supplement to, or substitute for, traditional litigation in your case. At Pesce Law Group, P.C., we are fully qualified to offer a wide range of services. Many of our clients may never even see the inside of a courtroom, or there may only be one or two appearances. We zealously advocate for you in the courtroom and in the conference room as well. Cost: It takes less time to prepare for a mediation than a trial, and there is also typically an expedited discovery period. In collaborative law, the soon-to-be-ex-spouses share expenses. Civility: In a more informal environment, tempers are sometimes not as short, and emotions may not run as high. Control: In both mediation and collaborative law, the parties have a great deal of input as to what goes into the final decree. This process can mean fewer trips back to court to enforce the order, especially if one party has issues with authority. There are some other potential benefits as well, such as greater accessibility. Most or all of the events take place in an attorney's office or nearby conference facility. 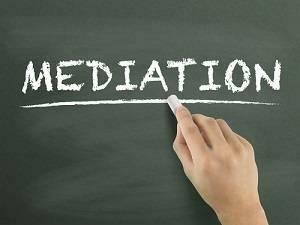 Many family law judges automatically order mediation in certain contested cases. Sometimes, it may occur informally over the course of several days or weeks, and other times, there may be a neutral third-party facilitator that either the court appoints or the parties select. It is important that a formal mediator is an attorney that practices family law in DuPage County, because someone else may be unfamiliar with all the legal and factual issues involved, as well as the court's expectations. This model is relatively new, and it is a true alternative dispute resolution. In most cases, the attorneys on both sides agree not to go to court at all. In a collaborative law proceeding, the parties work together to find long-lasting solutions that benefit the entire family. If there is a need for outside experts, such as an accountant or doctor, the parties share the expense. 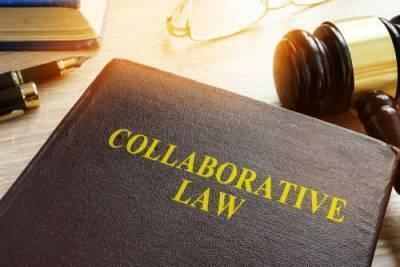 Collaborative law is certainly not for everybody, but it may be right for your particular case. 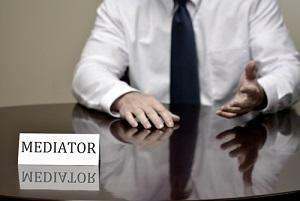 When you come in for your free consultation, be sure to ask about alternatives to divorce litigation. The experienced family law attorneys at Pesce Law Group, P.C. offer a wide range of solutions to fit your family's needs. Contact us today at 630-352-2240.